Royal Newlyweds will move to some great real estate soon. Prince William and Kate Middleton will be moving to a home worth $76 million after they are married. That is 343 times the typical newlywed home in england 223,282. Their royal retreat they will be able to go to for vacations is worth $279m and will have nearly half a million square feet and around a thousand rooms. When he becomes king they will then move to Buckingham Palace which is the most valuable private residence in the world at $1.6 Billion. In some states if real estate is owned by two people it may pass to the survivor even if they are not husband and wife. However in Florida it depends on whether or not they are husband and wife. If a property is owned by two people who are husband and wife it will pass to the survivor unless it says in the deed it was as tenants in common if they are not husband and wife and own the property individually it would need to say with right of survivorship in order to pass to the survivor and avoid probate. Also if the property were in trust that may minimize the probate although it would not neccesarily avoid it. In order to shorten the creditor period to the longer of 30 days after date of service or 3 months after publication a probate would need to be opened. Although if there were no property actually in the estate or it were less than $75,000 a Summary Probate summary probate could be used. Mobile Home selling for $2.5 Million. As AOL reports this home in Malibu where they do not even own the land which is another $2,000 a month but just the property and which is just 2 bedroom 2 bathroom with 2300 square feet is selling for $2.5 million more than a typical mobile home. The area is home to artists and those without a view typically go for around $300,000-$600,000. The reason as it typically is in real estate is location. It has great views of the Santa Monica Bay and is near other traditional homes with great views but those go as high as $45-55m. IRS paid $513 Million in undeserved home buyer tax credits audit shows. The Internal Revenue Service has paid out more than a half-billion dollars in homebuyer tax credits to people who probably didn't qualify, a government investigator said today. Most of the money around $326 million went to greater than 47,000 taxpayers who didn't qualify as first-time homebuyers because there was evidence they had already owned homes, said the report by J. Russell George, the Treasury inspector general for tax administration. Other credits went to prison inmates, taxpayers who bought homes before the credit was enacted and people who did not actually buy homes. The popular credit provided up to $8,000 to first-time homebuyers and up to $6,500 to qualified current owners who bought another home during parts of 2009 and 2010. IRS spokeswoman Michelle Eldridge said the agency worked hard to enforce a complicated tax credit that provided nearly $29 billion to more than 4 million taxpayers. The agency audited nearly 448,000 returns and blocked or denied nearly 426,000 questionable claims, she said. In all, the agency's enforcement efforts saved more than $1.3 billion and identified more than 200 criminal schemes, she said. "The timing and differences in the various legislative provisions also created complexity and confusion for taxpayers and return preparers, as well as the real estate industry," the IRS said in a written response to the audit. • More than 47,500 taxpayers claimed the first-time homebuyer credit even though there was evidence on previous tax returns that they had already owned a home, including deductions for mortgage interest, real estate taxes and mortgage insurance. The report estimated these people claimed $326 million in credits. • More than 13,400 taxpayers claimed the credit even though they had not yet purchased a home. These people listed future purchase dates on their tax forms. The report estimated these people claimed $97.8 million in credits. The IRS said it believes these estimates are overstated. • More than 1,000 taxpayers said they purchased homes while they were incarcerated in prison, claiming $7.7 million. • More than 2,500 taxpayers claimed credits for buying homes for which at least one other taxpayer also claimed the credit for buying. These taxpayers received $11.4 million. • More than 2,700 taxpayers claimed credits for homes that were purchased before the tax credit went in effect. These taxpayers received $17.6 million. • The IRS disallowed $531,134 in tax credits claimed by 96 taxpayers who were under age 18, making it unlikely they purchased a home. Million dollar real estate listings warmed up with hot models. As AOL real estate blog discusses Dimitrios Aletras Jr VP of Business Development at Nest Seekers came up with the idea to advertise homes like other magazine advertise clothing with models. In order to sell some of his high end New York properties. He had professional photographers shoot models in designer clothing and staged poses seeking to enhance the look of the homes and give them a warmer feel. 12,000 square foot White House Replica for sale in Virginia for $4.65 Million. Click the link for the CNN video of the White House Replica. One fifth of the size of the real thing but structural details inside match the actual White House. Couple built decades ago but are now empty nest parents and it is too large for them to live in alone so they are seeking to sell the home and move on despite having put a lot time and effort into having it been built just as they wanted. Impact of Government Shutdown on IRS,Social Security, Medicare and Federal Housing Authority. If the US government were to shut down later this week this would cause a slower processing of tax returns and limit small business loans and government-backed mortgages during peak home buying season. The last such shutdown began in 1995 and went on for 3 weeks. Taxpayers would remain responsible for filing and paying their taxes on time which is April 18 this year given a local holiday in Washington. Tax audits will be not occur during a potential shutdown. The IRS also will not process any paper returns during a shutdown. About thirty percent of tax filers still use paper returns. Tax filers who expect a refund should file their returns electronically and ask that the money be deposited directly into their bank accounts. While taxpayers will still be required to properly ask the help lines for the IRS will not be staffed. Social Security payments will continue to be delivered, and applications for benefits will continue to be processed. But some services will be limited, Social Security Commissioner Michael Astrue said. If the shutdown goes on for an extended time though there would be problems with any changes in address, status or changes. The Federal Housing Administration, which guarantees about 30 percent of home mortgages, would stop guaranteeing loans. The issuance of government backed loans to small businesses would be suspended, according to the White House. The Obama administration said the impact on the housing market would be more significant than during the last shutdown since the Federal Housing Administration accounts for 30 percent of the mortgage market, almost triple the amount 16 years ago during the prior shutdown. Florida law provides a number of benefits to a Florida resident’s primary residence, also known as their homestead. This includes protection from all creditors with a couple exceptions, reduction of the tax base of the property by $50,000 and more for the blind or widows, and limitation to property taxes increasing more than 3% annually even if the value rises more rapidly. Florida homestead law also provides some transfer restrictions though. A surviving spouse (assuming they have not validly waived their rights in a pre or post marital agreement) has rights to the property that cannot be taken from them involuntarily and minor children have an interest in parents homestead that they owned at their death. The Florida Constitution article X section IV and Florida Statute Section 732.4015 prohibit a Florida resident who is married or the parent of a minor child from devising his or her homestead, except that a married Florida resident with no minor child may devise his or her homestead only outright to their spouse in fee simple. If not lawfully devised (if married and not devised to the spouse), or if there is a minor child, it then descends as provided by Florida law with the surviving spouse (if any) receiving a life estate and the remainder interest passes to the decedants descendants per stirpes. (Equally to the deceased owners surviving children with the share of a predeceased child passing to his or her descendants). The life tenant had been responsible for all taxes, insurance and interest on the home and could not force a sale. Florida statute Section 732.401(2) now allows an option instead of a life estate, a surviving spouse may elect to take a 50% tenant in common interest in the homestead with the decedent's descendants taking the remaining 50% interest. This election must be made within six month and once made it is irrevocable. A life tenant has all the responsbility for annual taxes, insurance and year to year basic living expenses so to reduce some of the expenses of being a life estate tenant, to simplify estate and gift tax issues (as a life tenant it is their actuarial value instead of just 50% of the sale price which is far easier to calculate) of the life interest or to own an interest in the homestead which may be disposed of by the spouse as the spouse determines. If a spouse chooses they can force a sale of a tennant in common homestead interest while they cannot do so with a life estate interest. The new statute was created in part because spouses were unable to afford to maintain their homestead in some situations but yet were unable to sell them without the consent of the remainder beneficiaries who did not always allow them to do so. This allowed further protections to the surviving spouse. Florida homestead devise restrictions can often complicate or even prevent the owner’s desire for how they would otherwise transfer the property. The owner may be married and have one child they do not want to receive an interest in the property or not want a minor to receive the property. They may want to put the property into a revocable trust with it then passing to a trustee on behalf of the minor children and It could also prevent a couple from devising to a credit shelter trust to help utilize the exemption from estate tax on the first spouses death to minimize estate taxes on the second death. A validly executed waiver of homestead rights through a pre or post marital agreement by a surviving spouse prior to the owner’s death is allowed pursuant to Florida Statute Section 732.702. Full disclosure of financial information is required for a post nuptial agreement but not a pre marital agreement. The spouse may also sign a deed devising away their rights. This allows the owner to devise the homestead in any manner they would like provided they have no minor child. Additionally tenants by the entirties avoids the homestead restrictions and Florida Statute Section 739.203(4) says that the disclaimer of the tenants by the entirety interest by the surviving spouse. Estate Tax planning and seeking to pass the homestead to a tax exmpt trust may be among the reasons to do that. It would not cause the disclaimed interest to become subject to the devise restrictions applicable to Florida homestead. Florida Statute Section 732.4017, now allows the owner to transfer the homestead to an irrevocable trust during the owner’s life. If the owner is married, the owner’s spouse will be required to join in this conveyance, but once devised, the spouse will only have those rights granted by the trust to the spouse. When the owner subsequently dies, the trust provides how the homestead descends without any hassles of the owner’s intent by Florida’s devise restrictions, even if the owner is survived by a minor child. Another example in which this may be useful is if the owner is not married but has a serious illness and a minor child and they are seeking to avoid any probate or guardianship issues with the property given the minor child. They may also want the other parent who likely would be the child's guardian of the person not to have anything to do with the property. Florida law does not allow the owner to pass their property in a revocable trust without further court proceedings if they have a minor child at their death even if the property is for the benefit of the minor child. There would be a number of issues to consider and this is an isolated situation but for example a terminally ill parent of an 11 year old with short life expectancy who owns a home worth no more than they paid for it and wants to avoid probate and guardianship as well as directing what will happen with the property may direct it be held for the child but without giving the parents any right to manage or sell it or they could have it pass to whomever they wish if properly and irrevocably devised out of their name / control prior to their death. There are some title insurance notes which discuss this and the reasoning behind. Homestead is a confusing area and it is important to consult with an experienced attorney prior to transfer property which is or may be homestead in order to have it actually pass as desired. This is a Deed that basically just serves as a probate avoidance technique essentially a transfer on death designation. The deed says that the grantor continues to own the property outright but just a life estate while naming another or others as equal remainder beneficiaries. The remainderman unlike a typical life estate have no rights though until the grantor dies. The grantor may sell, lease give away whatever they want to do with the property but the remainder if any passes to the named beneficiaries. The Enhanced Life Estate Deed is available in Florida and several other states although has not been accepted in all states yet some merely have a regular estate where the remainder beneficiaries have vested rights to the property. If someone owns non homestead property and another person has a remainder interest in that property then gets in a car accident or gets sued for some reason there are asset protection concerns with a vested beneficiary but not with the enhanced life estate since they have no rights to the property until the death. The Tax issues are simpler with the the remainder beneficiaries not having rights until the death of the grantor. In that situation there is a step up in basis if it has appreciated in value from the time it was purchased. For property tax purposes it is not revalued since there is not considered to be any change in ownership during the life of the grantor. Are there any advantages of having the property held as an enhanced life estate deed instead of a trust? Yes, held in a trust any property is subject to creditor claims although property that passes outside of the estate such as an enhanced life estate would not be. This means that a title insurance company often requires the creditor period to run if it is owned by a trust to make sure there are no claims while it is not needed if it passes as an enhanced life estate deed and thus the trust would not always avoid probate but as long as there is a named beneficiary and the named beneficiary survives that property will pass with just showing a death certificate. Article X Section 4 of the Florida Constitution and Florida Statutes 732.401 and 732.4015 provide that homestead property is not subject to devise if the owner of their primary residence or homestead is survived by a spouse or minor child except that if survived by a spouse and no minor child the homestead may be devise to spouse fee simple interest. If not devised as permitted by Florida law the property shall descend as other intestate property which would be a life estate to the spouse and a vested remainder to the children if both existed or outright to the spouse if no children existed. A third DCA case was decided last month in Habeeb v Linder regarding homested property in Key Biscayne Florida. Richard Habeeb was PR of the estate of Mitchell Habeeb who briefly survived his spouse Virginia by a couple months who had owned homestead property but who had a will that said he got a life estate and then sought to pass the property to her sister Betty who would have the remainder. Neither Virginia or Mitchell had children. The year after Mitchell died and while Richard was seeking to probate his estate Betty Virginia's sister who the will provided was to receive the remainder interest of the Key Biscayne Florida real estate died and was survived by her daughter Catherine Risk Linder who was her personal representative. Richard as the personal representative for Mitchell appealed an order that found a warranty deed executed by Mitchell and his spouse Virginia conveying a warranty deed conveying all their interests to Virginia waived all spousal homestead rights despite it not saying it was a waiver or meeting the requirements of a post nuptial agreement. He had argued that it was homestead property and therefore the transfer to Betty was invalid pursuant to the Florida Constitution and statutes. He lost though as the court affirmed for reasons mentioned below. Mitchell and Virginia Habeeb were married for approximately fifty years until Virginia died in 2008. In 1973, the couple took title to a Key Biscayne condominium unit as tenants by the entireties. The condominium unit was their residence and Florida homestead. In 1979, Mitchell and Virginia prepared a warranty deed giving to Virginia a fee simple interest in the homestead property. The deed did not include a provision containing the terms “waiver” and “homestead rights,” but it did contain the traditional, sweeping terms of a warranty deed. In 2006, Virginia executed a will devising a life estate in the condominium unit to Mitchell, with the remainder to her sister Betty. Under the will, Mitchell also received the residuary estate. The couple continued to live in the Key Biscayne property until Virginia died in November 2008. Virginia was survived by both Mitchell and Betty. Mitchell died in January 2009, survived by six nephews, including Richard Habeeb. Betty died in July 2010, survived by her daughter Catherine Risk Linder. In 1979, Virginia and Mitchell had owned the subject condominium as tenants by the entireties. In that year, Mitchell and Virginia signed a warranty deed granting to Virginia a fee simple interest in the condominium. Based on this, Virginia’s estate claimed that Mitchell had waived his homestead rights in the condominium, and thus no homestead restrictions on the devise applied at Virginia’s death. Both the trial court and the appellate court agreed with Virginia’s estate. Virginia’s estate had to show a valid waiver, per the requirements of the Florida post nuptial agreeement statute section 732.702. The 1979 statute was essentially the same as the current one. Subsection one of the statute requires a written contract or agreement. Virginia’s estate argued that the warranty deed constituted the waiver of homestead rights. It was a written and notarized document but did not mention either homestead or any waiver. While a general waiver of all rights is permissible for homestead and any rights with no mention of either homestead or any waiver Mitchell's estate argued that point. The appellate court noted that the Florida Warranty Deed form provided that the grantor “grants, bargains, sells, aliens, remises, releases, conveys, and confirms” to the grantee “all that certain land” as well as “all the tenements, hereditaments and appurtenances thereto” to the grantee. The court indicated that the term “heriditaments” includes “anything capable of being inherited.” Based on this language, the court found a valid “waiver” by Mitchell of his homestead rights. The deed devised Mitchell's ownership interest in the property but did not directly devise the separate homestead provisions applicable to his wife’s subsequent ownership or that he even knew of them and intended to waive them. 2 Subsection two of the statute mentions that if done subsequent to the marriage Fair Disclosure is Required. In this case it was clearly after the marriage with the couple married in the 50's. There was no written disclosure of assets or written acknowledgment of knowledge of each other’s assets to meet this fair disclosure requirement in 1979. The appellate court was not bothered by this lack of disclosure. Instead, it relied on (1) the parties having been married around three decades years at the time of the 1979 transfer, (2) the deed having been prepared by an attorney and signed before two witnesses and a notary public, (3) the parties preparing subsequent wills based on the real estate transfer and without regard to homestead restrictions, and (4) Mitchell not having made objections during the time after he survived his wife, Virginia. It appears the court looked to length of marriage, everything being harmonious, and subsequent documents as well as the nuance of the meaning of the standard word in the warranty deed and inferred intent that they wanted the property to be transferred the way Virginia's will provided and gave them a pass on the requirements assuming they intended that the deed served as a waiver for homestead as well as his interest in the property. Judicial View discussed this Florida Homestead case which was decided in February 2011. Although there may be an over supply of Florida real estate as mentioned in the prior blog post each piece of real estate is unique and Florida real estate agents continue to help help find clients their dream home as they did for Elin Nordegren Tiger Woods ex who she received a $110 million dollar property settlement from following their Florida divorce. She will live in a beachfront property with over 17,000 square feet of living space in North Palm Beach Florida. She will be just 10 miles away from Tiger Wood's $60 million dollar home in Jupiter Florida. Too see pictures of her new North Palm Beach Florida Mansion from TMZ click here. Florida real estate has reached 18% vacancy rate. A reader of the Probate Attorney Blog.com recently asked when the real estate downturn was going to end. Unfortunately the facts appear to show it will take some time given the over supply of properties as this article shows. While Florida residents are very fortunate to have weather in the 70s and 80s most of the winter and no income tax it was one of the hardest hit states relating to the real estate crash. As a result values have plunged massively, foreclosures have surged and there are a substantial number of homes vacant. On Thursday, the Census Bureau revealed that 18% -- or 1.6 million homes in Florida are vacant. That's an increase of more than 63% over the past decade. Having so much oversupply of Florida real estate on the market will keep home prices depressed and slow any recovery. During the housing boom, Florida was among the hottest real estate markets in the nation. The population was growing and eager to buy homes and investors were rushing to buy homes believing prices would continue to surge and for a while they were going up by well into double digit percentages each year sometimes even every couple months. The real estate bust brought an end to that. Development ground to a halt. 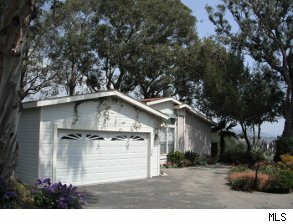 Retirees stopped relocating. And prices started falling and vacancies rising. In Florida, Collier County is the the worst-hit area. An incredible 32% of the homes are empty in the Naples area and throughout Collier County Florida. Nearby Lee County (Cape Coral) has a 30% vacancy rate. Not helping is the the fact that the state's rate of population growth slowed in the second half of the last decade to just 5.7%. Still, the 2000s saw the state population grow overall by nearly 18%, the Census Bureau reported. She doesn't expect Naples, for example, to come all the way back until the late 2030s. Other Florida metro areas with a 20-year wait or longer include Punta Gorda and Palm Bay. See Les Christie staff writer CNN Money - Nearly 20% of Florida homes are vacant. Attorney David Luber in Hollywood Florida and the author of the Probate Attorney Blog.com has seen clients who have Florida real estate which has declined over 80% in the past five years and many homes have lost nearly half their value with some losing more. For those who have bought in the past few years and do not plan to move may actually like the plunge in the respect that their property taxes are likely to decrease as well even if not to the same degree as the fall. The plunge in values has created some outstanding values though and for those seeking to own their own home and get great weather Florida may become a compelling option sooner than some analysts are projecting. The economy is improving and the stock market has already surged with the Dow is up nearly 87% since the market bottom March 9, 2009, the S&P 500 up 95% and the Nasdaq up 117% from March 9 2009 until March 2011. Some investors may decide to buy homes that have not had the same recovery or those who had been blocked out from the surging prices could return along with the improving economy. The major correction could be perceived as the law of gravity what goes up must come down. Florida, California, Las Vegas, and Arizona the states mentioned above as having the biggest corrections and Florida now leading the way with vacant properties but these states had the largest increases to their values so it is logical they would also experience the biggest drops as well. Just as the stock market surged back the real estate market eventually will resolve the over supply and rise as well.